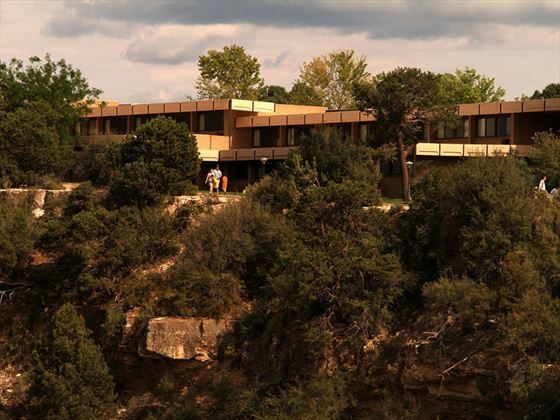 Contemporary and comfortable, the Thunderbird Lodge is based close to the Grand Canyon with half of the rooms offering partial canyon views. 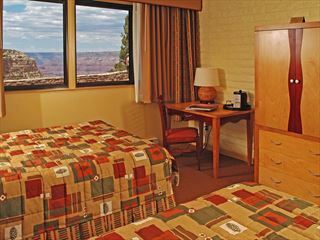 The resort is ideally suited to families looking to experience the wonders of the Grand Canyon together. There’s a huge variety of activities on offer ranging from peaceful hiking and bird watching, to fascinating train rides on the Grand Canyon Railway and even rafting or fishing in the lakes and rivers surrounding the Canyon. Top Tip: Request to be placed in a ‘Canyon side’ room which offer pretty views out of the window. Located at the south rim of the Grand Canyon in the heart of the Historic district within walking distance of restaurants, shops, the Verkamps Visitor Centre and Bright Angel Trail Head. 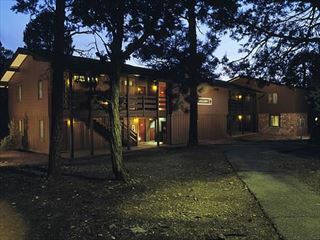 20 minutes from the Grand Canyon National Park Airport. 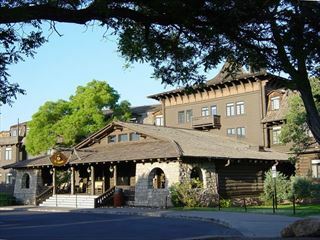 The Kachina Lodge is located in the heart of the Grand Canyon Village Historic District, a mere 30 meters from the Grand Canyon South Rim, offering comfortable lodging accommodation well suited to families as well as couples.